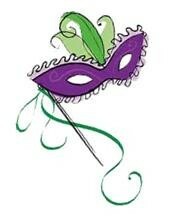 Break out your Mardi Gras masks and beads and join us for an exciting evening of food, fun and music. You'll be treated to tantalizing Cajun cuisine, enjoy dancing and have the opportunity to bid on some exciting silent auction items. All proceeds benefit Special Olympics Northern California which provides free sports training and competition opportunities to nearly 24,000 children and adults with intellectual disabilities. Includes Cajun style dinner and no host bar and guaranteed seating with family and friends. The event is expect to sell-out so buy your tickets early!